The charming Hanoi has aged well, preserving the Old Quarter, monuments and colonial architecture, while making room for modern development alongside. 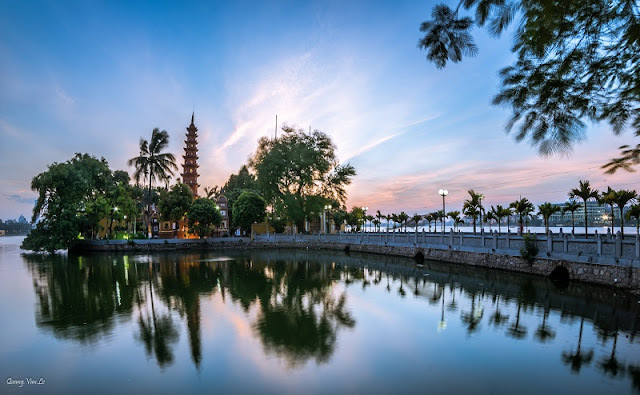 Hanoi has been ranked among the 25 best destinations in the world for 2019, according to the 2019 Travelers Choice Awards of TripAdvisor, a US travel and restaurant website company that shows hotel and restaurant reviews, accommodation bookings and other travel-related content. TripAdvisor advises travelers that the charming Hanoi has aged well, preserving the Old Quarter, monuments and colonial architecture, while making room for modern development alongside. London in the UK tops the list, followed by Paris in France, Rome in Italy, Crete in Greece, Bali in Indonesia, Phuket in Thailand, Barcelona in Spain, Istanbul in Turkey, Marrakech in Morocco, Dubai in United Arab Emirates. Vietnam and its Hanoi capital in particular should be on everyone’s list of must-see destinations. There’s an atmosphere to the place that grabs you and doesn’t let go. It’s the sort of spot that you may end up spending months in without really noticing. You can grab a bed in a hostel for US$5 a night. Entire apartments go for as little as US$15 a night on Airbnb. This all helps in that “spending a couple of months here” attitude you’ll eventually adopt.